My husband looked at me with his blood results in his hand. HIGH CHOLESTEROL- that's what he was diagnosed with at THRITY. Talk about a wake up call. We felt healthy and kinda invincible. With a six month old baby, though, we had far from healthy habits. Still- change is HARD, right. I THOUGHT about making some changes, REALLY wanted a quick fix and needed a PLAN. Hmmmmm. Luckily, that was SIX years ago in JANUARY and I was FINALLY fed up and ready to make a resolution to stick! Each new year feels like a fresh start—a chance for new things that are even better than last year’s things. #amiright And on that note, now seems like the perfect opportunity for you to make good on those health-related resolutions- JUST like I did (oh and my hubby now has perfect cholesterol levels and I still have those 20 lbs off that I lost the first time around even after two more babies). So the new year is kinda my JAM. It's when I personally started my own health and fitness journey that changed my life forever so I wanna give you the same! So I'm revamping and offering you a new and revised NEW YEAR NEW YOU private group with a a fitness PLAN to follow. Here's what you'll get! - 36 BRAND NEW workouts plus thousands of others as bonuses! - A PRIVATE group with women to cheer you on! So what are you waiting for? I was hesitant FOR SURE, so I feel you, but truly a workout I could do ANYTIME that worked with MY schedule CHANGED MY LIFE. And it can change yours too! Introducing the NEW 20 Minute Workout!!! When I first started working out after becoming a mom- a fulltime working one at that- TIME was the #1 thing holding me back from STARTING. So I started with just 10 minutes and worked my way up. My BIG fitness transformation came from the SAME creator of our BRAND NEW 20 minute program- 1st Insanity and then T25! And now I get to go through this program as a #mommyofthree with my TEAM and I get to invite YOU! 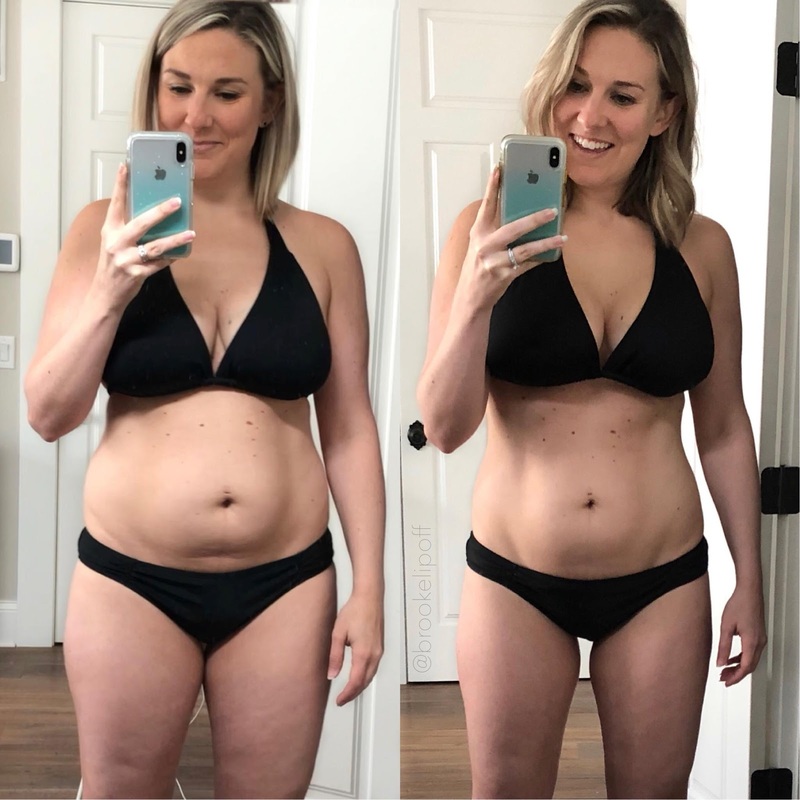 📌3 months postpartum with baby #2 when we started and 4.5 months postpartum at the end. 📌Exclusively breastfeeding and zero issues with my milk supply! 📌Lost over 10 inches and 8lbs. Transform :20 is a fast, super-intense fitness program created by Super Trainer Shaun T that will transform your body—and your mind—in just 20 minutes a day over 6 weeks. Be forewarned—it’s hard. But the results will be worth it. Transform :20 is a breakthrough total-body workout without breaks. It’s just you, Shaun T, and a Step. After 5 minutes, you’ll be out of breath, at 10 minutes you’ll be sweating, in 15 minutes you’ll be looking at the clock, and by minute 20 you’ll be done. You’ll blast your core, legs, glutes, and upper body— no weights required. 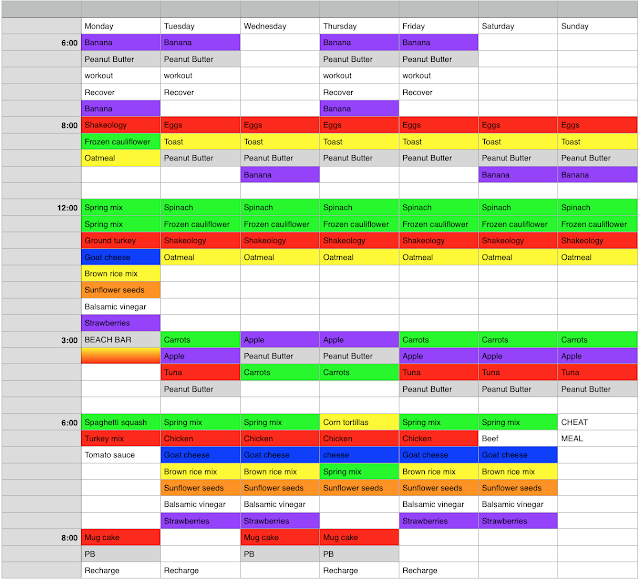 There’s a different workout every day, 6 days a week, done in real time with the cast. No do-overs and no repeats. Transform :20 is divided into three 2-week chapters: COMMIT, CLIMB, CONQUER. In each chapter, the moves evolve and get harder. Daily Transformer challenges will push you physically, and daily ShaunFirmations will help get your mind focused and keep you motivated. The Beachbody® Nutrition Guide has been tailored to Transform :20 to make sure you’re getting the nutrients and fuel you need throughout the program to help you achieve your best results. It also explains how to incorporate Portion Fix® or the 2B Mindset™ into your eating plan. Finally, weekly behind-the-scenes videos, “Transform Your Life with Shaun T,” feature Shaun T and the cast as they discuss their own challenges, with the goal of motivating everyone to stay committed and strong. 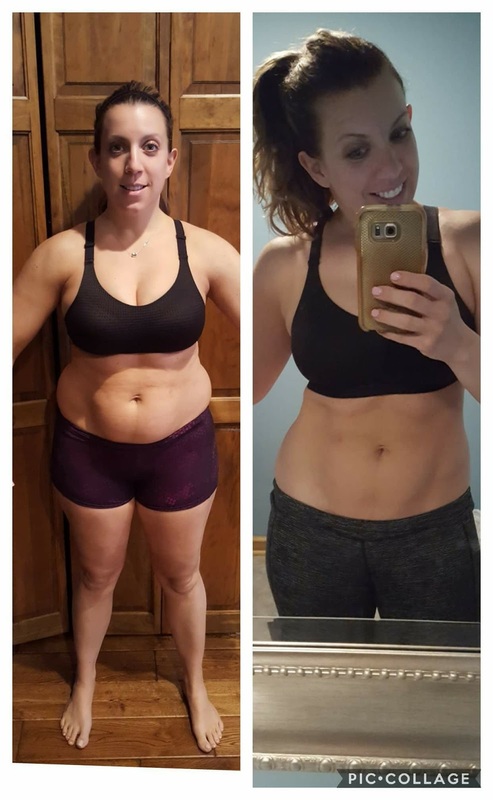 "Totally LOVED Transform :20 and that was a shocker!! Truthfully Shaun is not my JAM, I'm a bit slower paced than he is!😜 So this totally freaked me out, HOWEVER after the first few days I realized...ANYONE can do this!! I am 44, with PCOS! Basically all hormones stacked up against me! I followed the 2B MINDSET program BUT measured my protein, carbs and fats with containers! This program is different...Shaun T is just SO MOTIVATING...it's almost like you don't want to disappoint him, even though he has no clue who you are...😂"
Click to join our FREE info group- can't wait to share more and help you figure out if this is right for you! Week 4 of my 4 day/week workout program- COMING UP!!!! And I'm FINALLY getting back into the swing of things with my meal planning! I've been out of town A LOT on the weekends (this weekend being no exception) so I got out of the healthy habit of planning. Summer fun means SIMPLE meal plans for me! No meals that take tons of time. I like to have foods prepped (think rice, chicken, ground turkey, already shredded carrots, cut up strawberries, ready-to-use spring mix, etc) so I can just throw some things together and have easy healthy options! This week I'm even gonna be at the office ALL day, EVERY day which means it's EXTRA important to have the foods prepped ahead so I can grab and GO in the morning (no matter what time I get up in the mornings, I still seem to struggle getting out the door on time LOL). Know what I mean? 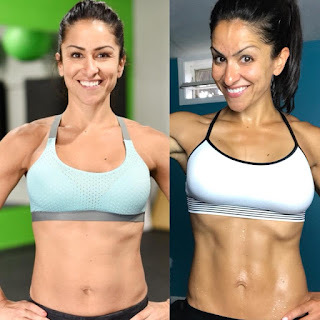 Having a program and meal plan to follow makes my life MUCH easier- I can make a plan that I KNOW will get results because my celebrity trainer helped me plan it!!! 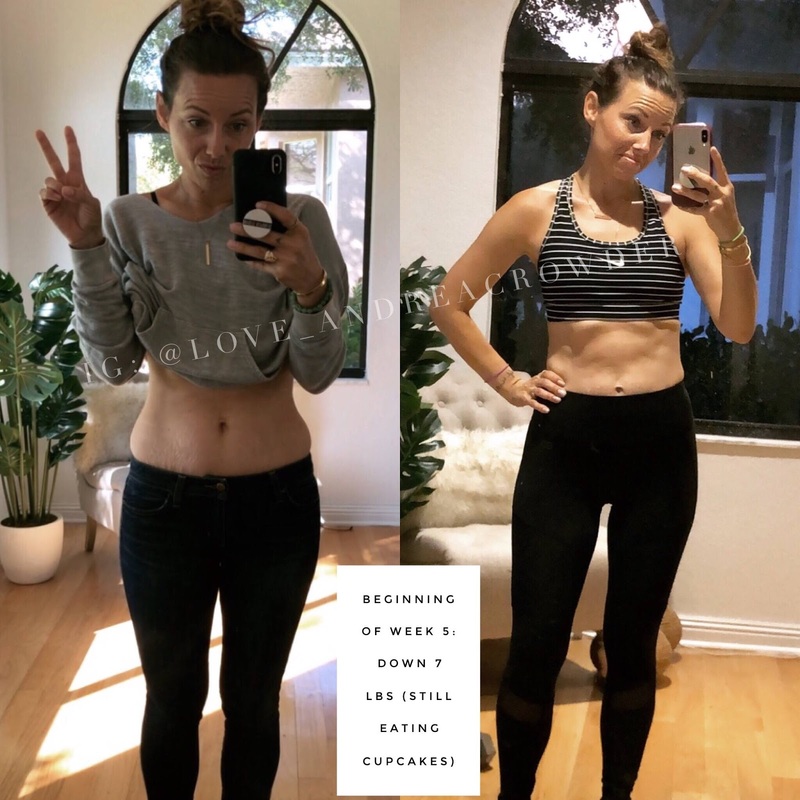 Hope this helps inspire you to make healthier options this month!!! What the heck is this girl talking about?!? LOL- well let me just tell ya! Have you heard of Lara Casey? If not, you should definitely check her out! She is the founder of Cultaiate What Matters and has a fun IG to follow and FB page! She also created POWER SHEETS, which is a FANTASTIC way to get all those goals WRITTEN down! Check out her WEBSITE. Soooooo- onto the good stuff and enough of my blabbering- so many times we set some random goal in JANUARY, forget about it and never actually take ACTION! Is that you? For MANY years, that was ME! Growing into my role as a health and lifestyle coach transformed the way I looked at goals which is why I wanna share with YOU!!! The BIGGEST thing I find holding us back from setting and going after our GOALS is FEAR! YA FEEL ME??? So here's the thing- that FEAR is usually something we're MAKING UP in our heads- lies we're telling ourselves that keep us from living up to our greatest potential. And, as humans, we LOVE to prove ourselves RIGHT! So if we keep telling ourselves we CAN'T, we work really hard to hold ourselves back. If we tell ourselves it's too hard, it is! If we tell ourselves we don't have time, we don't. I could go on and on but you get the picture. So- As Lara would say- Time to BREAK your identity box!!!! What have you been telling yourself that you CANNOT do??? Like, I was telling myself the lie that I wasn't successful enough to build a team and inspire other women to discover and live their best lives. Maybe someone told you something once like you aren't good enough or that you couldn't do something and you believed them so you've made that your identity. Write out EVERY box you've put yourself in that has been holding you back! Then, CRUSH that little box!!! What if you FLIPPED the script?!? What positive possibilities would open up in your life and others? For me, that would look like living into MY potential, speaking positive affirmations into my life, building a team, sustainable residual income bringing me financial freedom and helping other women do the same! Write out your thoughts! Now- take ONE action to move yourself forward- away from that identity box you had yourself caged in. Maybe it's positive affirmations, maybe it's writing out your gratitude. For me- the positive affirmations and living OUT LOUD are what it takes. It could be anything! Tell me what you will do! 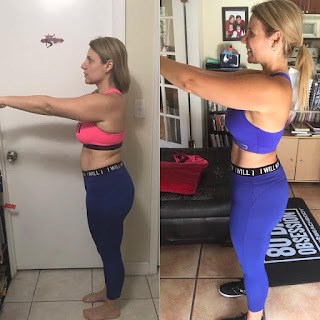 I know what you're thinking- NO WAY can I get results working out FROM HOME just 4 days a week! I feel ya, and honestly I was skeptical at first! But I've seen these other coaches FIRSTHAND and heard their stories and ti's LEGIT! Best part?!? Because you’re only working out 4 days a week— you’ll be able to live your life. Again- HELLO SUMMER!!! The rest days are strategic—they allow you to recover so you’ll have more strength and energy to bring to each workout. Plus, you’ll be ramping up your nutrition and supplement game—even getting an optional nutritional “cheat day” (can you say Summer BBQ???) that helps keep you motivated and committed. Each workout is structured to keep your heart rate up, through tempo lifting and timed HIIT intervals, to help maximize calorie burn and targeted muscle-building. This program is designed to work smart, giving you maximum efficiency and hitting your entire body in just 4 workouts a week. The 3 recovery days give muscles time to rest so you can push harder, lift heavier, and get better results faster. There are two phases for maximum results. For the first 6 weeks, you will build, strengthen, and define your body, followed by 2 weeks to burn through calories and fat, revealing your ultimate physique. 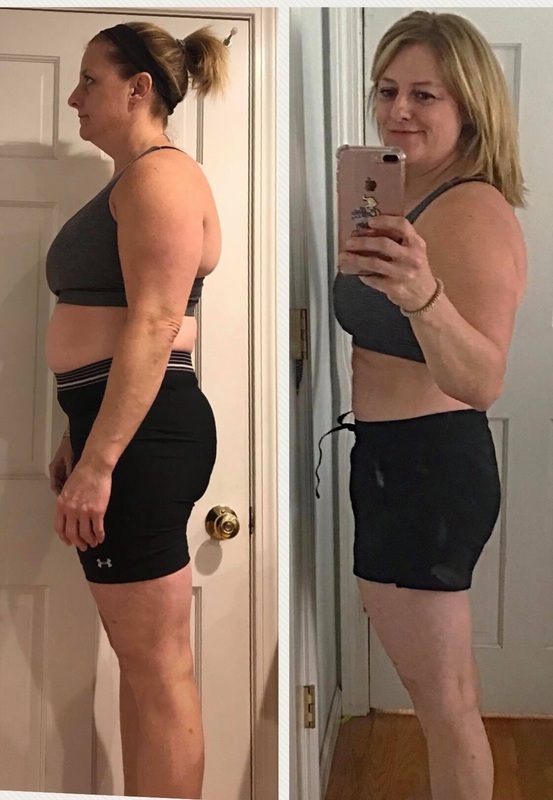 And since a hardworking body needs fuel, the LIIFT4 Program & Nutrition Guide lays out everything you’ll need to help your body get maximum results—including how to incorporate Shakeology® and Beachbody Performance™ Line! OMG- does it GET any BETTER?!? For even more free info and to check out our community, just click join HERE! 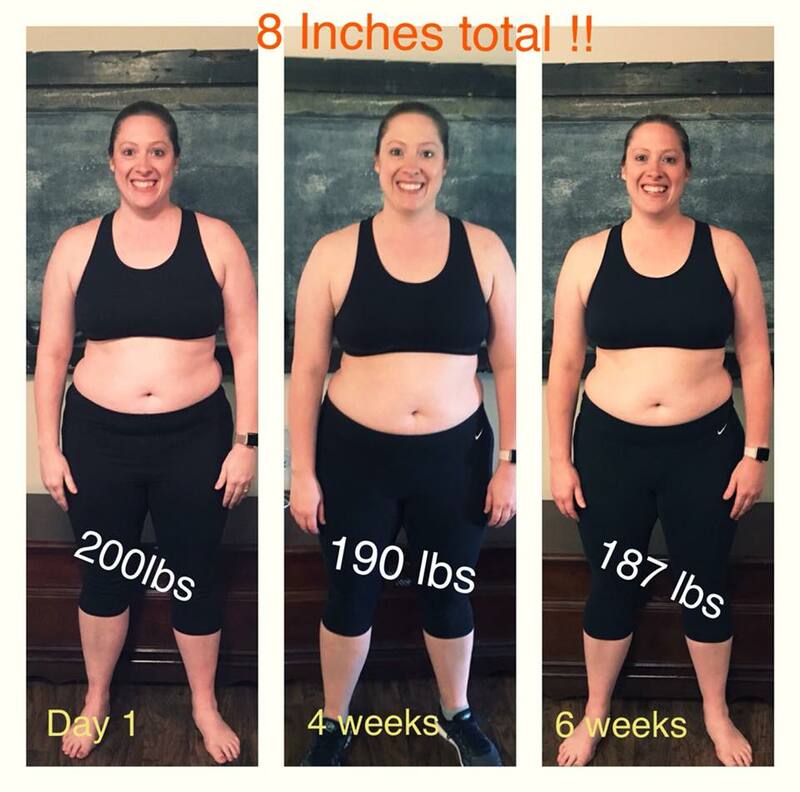 "I'm in the test group and find it sooooo interesting how when we RELAX about our fitness and make it fun the way Joel did with this program... our body relaxes too in a positive way. I have done zero outside workouts. Just the 4 days a week. I've included treat meals per the program guidelines. I've been traveling through the program and still on track. 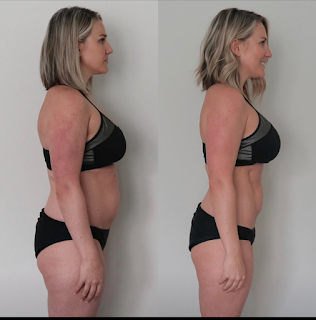 This is sooo dang doable for anyone and I couldn't be MORE thrilled with my results so far. Not even done yet! I just bought body suits for the first time since I was 12 lol! My confidence is NEXT LEVEL. One thing we joke about in the test group is how much we seem to check ourselves out in the mirror hahaha! But it's TRUE! Sometimes it's hard to believe that we are looking so dang good from just 4 workouts a week which is roughly 2 hrs of workouts. I saw my BF last week in NYC and she said "OMG you look like a teenager!" I haven't been this lean since prob around 19 when I was dancing 3-4 hrs a day 5 days a week. There's something to be said for how RELAXED we feel!!!! I'm sure that's a huge part of why our bodies are changing so much! I'll likely miss my workout today because I"m traveling from west coast to east coast (currently in air) and I feel ZERO stress because it's not like it'll throw my whole week off. I'll just catch up tomorrow. Before that would have derailed me!" "From someone who was already considered “fit” and who relied on workouts EVERYDAY to stay that way, I found that with LIIFT4 I could go hard 4 times a week, dial in the nutrition and STILL get great results! It’s also been a blessing to have a quick effective workout to work around my busy schedule with two kiddos." I admittedly am NO chef!!! I literally threw this dish together in like 10 minutes, though so if I can do it- you TOTALLY can LOL. I've been shifting my MINDSET about food and this new program I'm doing is helping SO MUCH! And I get to eat A LOT!!! As I'm learning to love NEW veggies (yes I'm also one of the PICKIEST eaters you'll meet UP UNTIL NOW ;) ), making NEW quick and easy recipes helps a TON! So, I hope you love this one as much as I do!!! 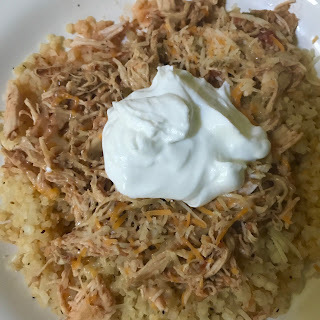 If you're a rice lover, you have GOT to try cauliflower rice- seriously buy it FROZEN, already "riced" and you have so many options! Don't close your mind to this healthy option until you've tried it MORE than once! Place olive oil in hot pan. Stir constantly until cauliflower is translucent. Serve with chicken on top. Optional: You can add cheese, Greek yogurt and/or avocado for extra touches! 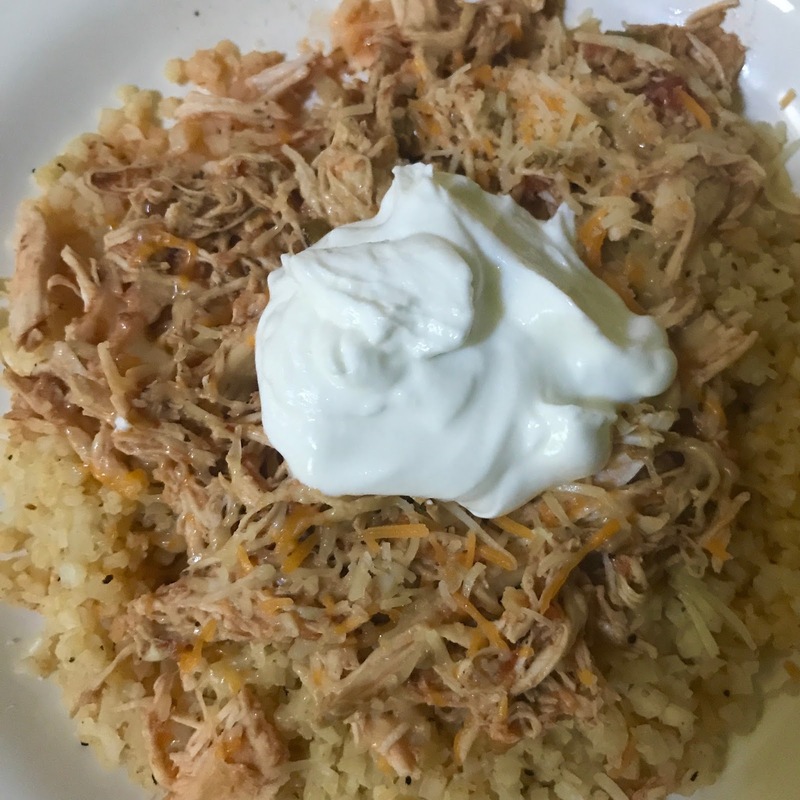 You can find more of my recipes HERE. And if you want even more healthy recipes and to learn about the sustainable healthy lifestyle through a PLAN that still allows you to eat what you love and live without guilt or shame in relation to food and END your emotional eating cycle, let's chat more- just check out my post all about it and fill out my quick FORM. I’ve been keeping a little secret! In March, i got to be in an EXCLUSIVE, invite-only, coach TEST GROUP for our BRAND NEW program, 2B Mindset! So I got to see ALL the materials, put the concepts to the test and learn a new way to get RID of emotional and binge eating habits! And you DO NOT have to workout!!! It’s an EASY to follow, nutrition-based program! I have absolutely LOVED it and truly believe it will change the way you look at food and eating and your health and fitness goals- making them WITHIN REACH and getting you EXCITED to reach them!!! When you get your pack BEFORE May 14, you will also get EXCLUSIVE access to our PRIVATE group JUST for our customers doing 2B Mindset! That means extra support, motivation and tips JUST for you! If you want IN on our PRIVATE group JUST for our 2B Mindset SUCCESS finishers, fill out this form and I'll get back with you ASAP!